Does your plant-based diet taste a little bland these days? Maybe you have been stuck in a rut of basically making the same dishes every week because you are just not sure how to create culinary masterpieces from fresh ingredients. Give your taste buds a special treat every day with Fresh n’ Lean’s healthy meal delivery in Virginia Beach. Our dishes are jam-packed full of exciting flavor, and often inspired by Asian, South American, and Mediterranean cuisine. The dishes you indulge in through our healthy food delivery in Virginia Beach are gluten-free, heart-healthy, and low in calories. Food plays a vital role in your long-term health; don’t you deserve for it to taste as important as it is? Want an easier way to keep up with your healthy eating plan? Fresh n’ Lean has your answer. 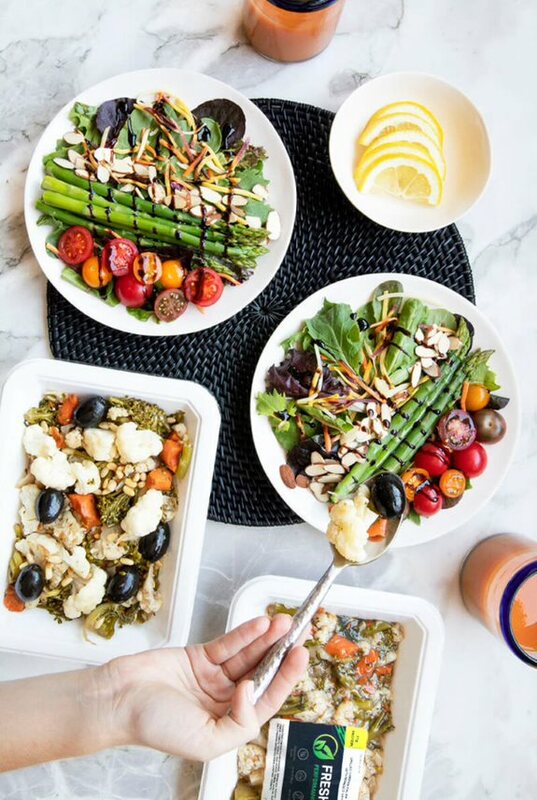 Our healthy meal delivery program in Virginia Beach is customized to meet your own unique nutrition preferences, providing you with the power you need on a daily basis. Whether your goal is to get rid of fat, improve your well being, or build lean muscle mass, when you fuel your body right, succeeding becomes a whole lot easier. If you lead a hectic lifestyle our healthy food delivery services in Virginia Beach will take away meal preparation stress. Simply take your prepared meals along with you wherever you go and you’ll have a nutrition meal ready within seconds. Enjoy delicious, nutritious, healthy and freshly prepared meals delivered to your home anywhere in Virginia Beach. If you’re dealing with a health issue such as high blood pressure, eating right has never been more important and with Fresh n’ Lean healthy meal delivery service in Virginia Beach, Virginia you’ll never go wrong. Any time you put premium quality vitamins and minerals into your body, you’ll work to decrease your likelihood of disease and keep yourself feeling energized and in optimal health. At Fresh n’ Lean, we pride ourselves on preparing meals that cater to just about any individual. Managing your blood sugar levels are essential, not only for weight management but also to keep your energy levels steady. With each of our meals, you’ll have energy all day. All of our meals are cooked to perfection, full of flavorful ingredients that provide you with the optimal amount of carbohydrates, healthy proteins, and fats.